I've got two sets of Maruman blades i used as a teenageer to get down to single figures, and loved them, the 1 and 2 iron where a bit raw to hit though!! Does anyone know what blades Woosie used in Maruman and any other Maruman players?? I remember that Jose-Maria Olazabal also used Maruman's and am pretty sure they both used blades from the Conductor Pro range which I actually owned a one time. Very nice clean looking irons with an almost rounded thin sole, quite hard to hit though IIRC. Woosnam used them to win the US Master's in 1991 also bagging a Black Headed Maruman Wooden Driver with a Gold graphite shaft which I also once owned along with a Maxfli Tad Moore Putter. Would be great to see some pictures of your blades to try and jog my memory on those irons. I'm sure that Mat (mat562) will have some good knowledge on these. would be interesting to know if woosie or ollie actually used the same blades? Woosie played several iron sets during his stint with Maruman. He started out with some fairly conventional blades that, word has it, were modelled after his old Maxfli Pro Specials - although perhaps not all that closely, judging by the well-publicised occasion when he ditched them in Hawaii for a set of his old ones that he picked up in the pro shop 'after a chunk of the lead came adrift making the clubs unusable' - Righto Ian... - and he then moved onto various other sets that featured the much-vaunted Maruman radiussed sole. From what I recall, a lot of the clubs I remember seeing in his bag were nothing like the retail stuff that you could buy in the shops. I can remember him playing what appeared to be regular Conductor 31CX (?) irons at Wentworth one year in the early '90s, but most of the other stuff I saw was a mystery to me and was usually covered in lead tape. Maruman clubs weren't well known at the best of times to us in the UK, so it was a struggle to know what was what when you saw the things back then. That driver of his was a thing of beauty, and I remember that he also carried a Maruman 600-series metal 3 wood (as per Greg Norman) as well as either a custom Maruman CB one-iron or his trusty old Ping Eye. Word has it that he was a Dynamic Gold S400 man in the irons and used to play them at standard length and three degrees flat IIRC. 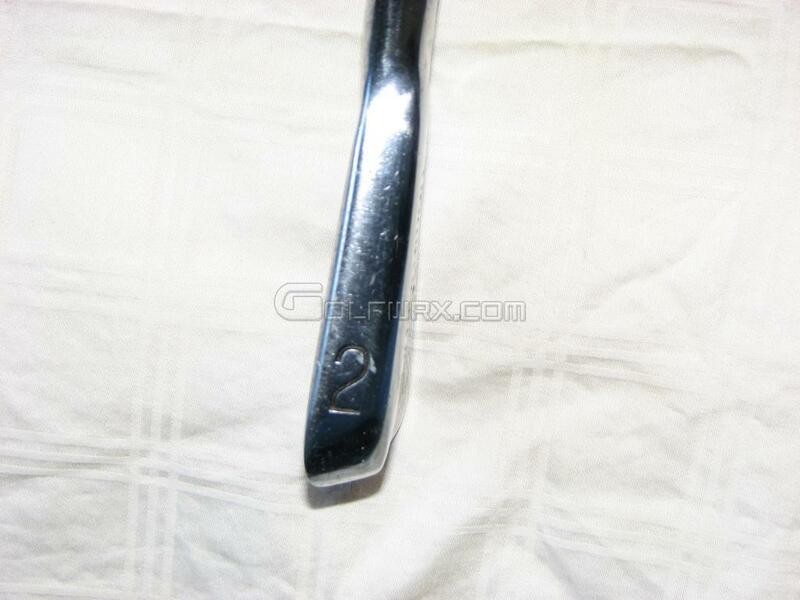 Olazabal's Maruman clubs were another model that were a bit out of the ordinary. In the Vintage Masters WITB thread there's a reasonable shot of the things. Word has it that Ollie used to have an alarming amount of offfset pressed into his irons to give an almost gooseneck appearance at address. On further investigation it appears that the Maruman blades that Woosnam and Olazabal used for their respective 1991 and 1994 US Master's victories were both forged by none other than Katsuhiro Miura. Maruman commissioned Miura to make their contracted staff players clubs to give them that extra edge. "Described by Japanese golf media as having the 'hands of God', Miura is a master craftsman, not just a club maker, Olazabal said. 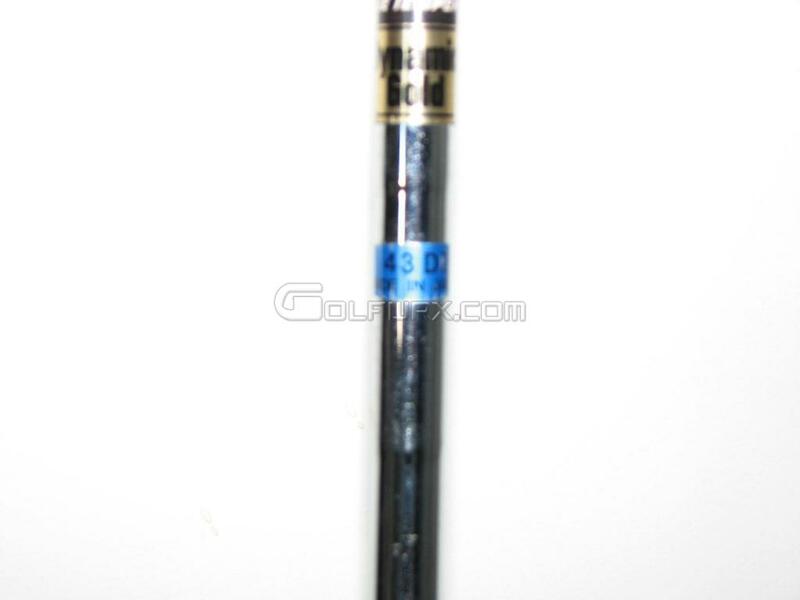 In his 1994 Masters victory, Olazabal used clubs forged by Miura under the name of Maruman & Co., a Japanese club company. 'He was quite serious about it and took his time with every step', Olazabal said. 'There was no rushing anything'." "I recall being only yards away in a small press enclosure beside the 18th green at Augusta National in 1991 when Ian Woosnam won his US Masters green jacket. Afterwards, the Welshman was gushing about the quality of the forged irons he was using, which had been specially made for him and which he carried in a bag with the Maruman brand emblazoned on it. 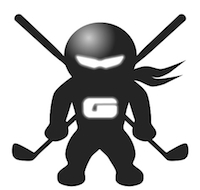 It transpires the clubs had been individually created for Woosie by master club maker Katsuhiro Miura, founder and master club-maker for Miura Golf, who studied the meticulous forgings used in making samurai swords, and has transferred that knowledge into golf clubs. Three years later Jose Maria Olazabal won the US Masters with a set of Miura-made irons and in 2001 Retief Goosen claimed the US Open with a set of irons made by Japan's most famous club-maker." I remember hitting a set of those Conductor CXs many moons ago after a friend got hold of a set from somewhere or other. From what I remember, the swingweight was shockingly high (despite my liking for heavier irons) and the shafts were a bit fancy. Some sort of Vanadium steel if memory serves. I was never sure about those soles though. Being a man who likes a divot, and having seen Woosie excavate big chunks out of the Wentworth fairways with a similar set, I assumed they'd suit my game but, if I'm honest, they didn't really. They were certainly lovely things, though, those Marumans; faultlessly finished and very smart in every regard. The problem with them was it was impossible to 1) get hold of a set to have a knock with; and 2) to find a shop anywhere close that had some of the things in stock. Maruman spent a fortune on bagging Woosie, yet for the best part of the time he was with the company you couldn't find Maruman clubs for love nor money in the UK. As for the Miura connection, you're spot on. Woosie and Olazabal both reportedly won majors with Miura forgings and, if I remember correctly, Raymond Floyd was another man to do so according to the blurb. What days they were. When people were up front about who'd forged irons for whom, and the whole thing wasn't shrouded in more secrecy than Area 51. I had a good friend that played the Conductor 31CX and those were probably the most beautiful blade that I have ever seen! In fact, I would love to have a set for myself. Anyone have a set they might want to get rid of? I have been looking (in vain) for information on the Conductor Pro muscle back pictured in "The Gachet's" post above. Does anyone know what year this model was produced, were they too Miura forged and where on the internet we might find the specifications? 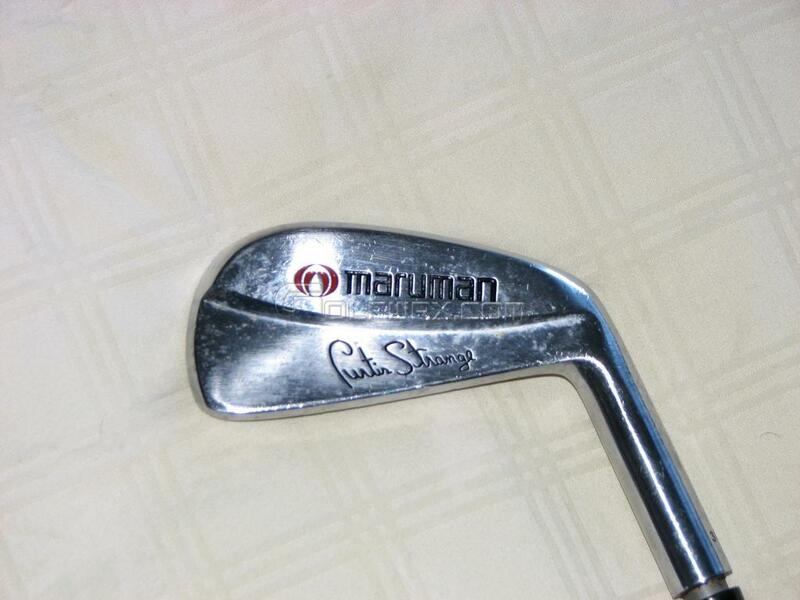 Curtis Strange was also a Maruman staff player in the early 90's, he had a limited edition set produced in the U.S. This was a nice set of irons with a soft feel. It seems to be very hard to find any real historical information on Maruman clubs whatsover !? Just found these going through Fleabay. Not my auction I might add. If I'd shot 75 round Troon with em I'd keep them in the bag!! I remember the first set of Marumans I had, they were conductors. My best friend, now a top 50 all time PGA money list, gave them to me. He played mini tours in Japan. I remember taking them to my first staff fitting , the head of the tour dept. thru the staff bag in the trash,, cracked me up,, those were some sweet blades. Curtis Strange won a couple tournaments with them as well. I'll dig mine out and get some pictures up, would love to know your opinions. I had two sets, the second set are at home 1-SW, the 1 and 2 iron are barely touched and the pw is battered! Got me down to 4 as a 16year old. Where they all made by Muira or just Woosies and Ole's?? I remember that Jose-Maria Olazabal also used Maruman's and am pretty sure they both used blades from the Conductor Pro range which I actually owned a one time. Very nice clean looking irons with an almost rounded thin sole, quite hard to hit though IIRC. Woosnam used them to win the US Masters in 1991 also bagging a Black Headed Maruman Wooden Driver with a Gold graphite shaft which I also once owned along with a Maxfli Tad Moore Putter. I have literally just put them up for sale on ebay with a donation to the Cystic Fibrosis Trust. Let me know if you would like to discuss these clubs... or Woosie in general... he was a bit of a hero of mine!! Just before moving to Maruman with a very young looking Phil Morbey. I'm loving the snow washed jeans of the lad directly behind Woosie. And it looks as though Paulie from the Rocky films and Christine Hamilton were also free that Sunday too. The lad on the far right in the dark blue sweater looks like a man whose wife has just left him, taking the kids with her, as he gazes out from the parapet of the Clifton suspension bridge. I remember seeing some grips on the Maruman stand at the Open at Lytham (88?). They were grey with red writing and had a bobbled finish and felt superb. When I got back to my club I asked my pro to order me a set. 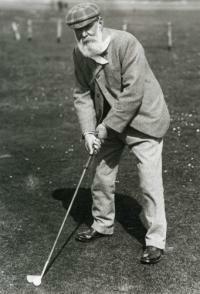 Maruman's response "buy a set of our clubs and you can have the grips free. Otherwise nothing doing"
Big logo on that bag, but it's still got the faithful old Ping Eye 1-iron poking out of it, though. 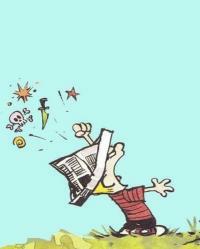 Forgot that he used one of those !!! I emailed Maruman a couple of years ago looking for the specs on my 'Curtis Strange' blades and this is what I received.